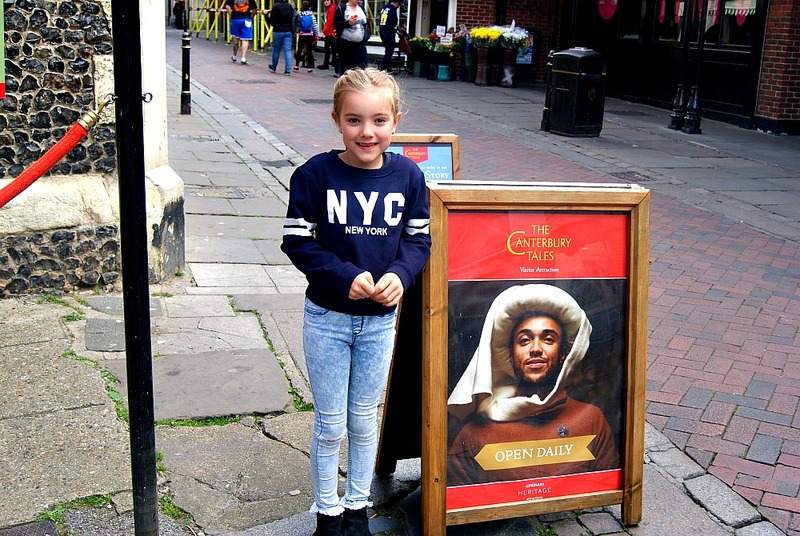 Earlier this week we took the children to Canterbury to visit The Canterbury Tales attraction. I remember visiting as a young girl and visiting brought back all the memories and made me feel so nostalgic. 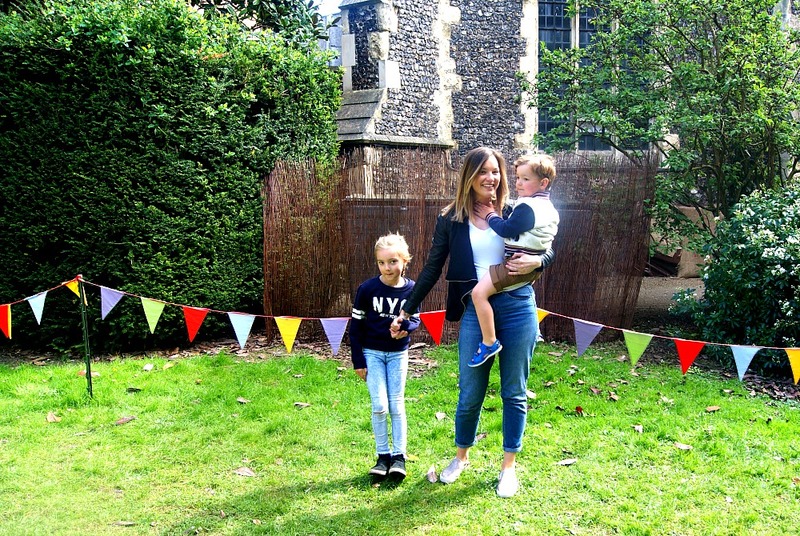 It was lovely to take the children. There were a lot of children visiting the same time as us. 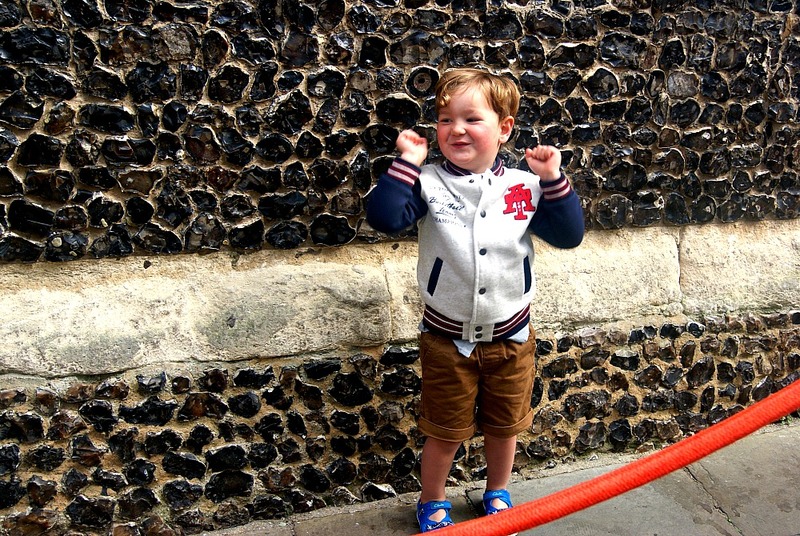 We felt although Archie is three he was absolutely fine to come on the tour, and actually he really enjoyed it. Both the children enjoyed holding the audio guide and listening to the stories. The attraction itself lasts about 40 minutes and both Sophia and Archie listened attentively throughout. I was wondering how they would be but they were fine and enjoyed the tour and listening to the stories. It was so sweet to see their little faces. I remember thinking how big it was inside the attraction when I was younger but revisiting now as an adult it seemed a lot smaller then I remember. I can only imagine it must have felt the same for Sophia and Archie. At The Canterbury Tales you discover five of Geoffrey Chaucer’s Tales. Which are taken from his well known book The Canterbury Tales. For the first ten minutes and last ten minutes of the attraction we were joined by a costumed character guide. Which was quite exciting and added to the whole experience. 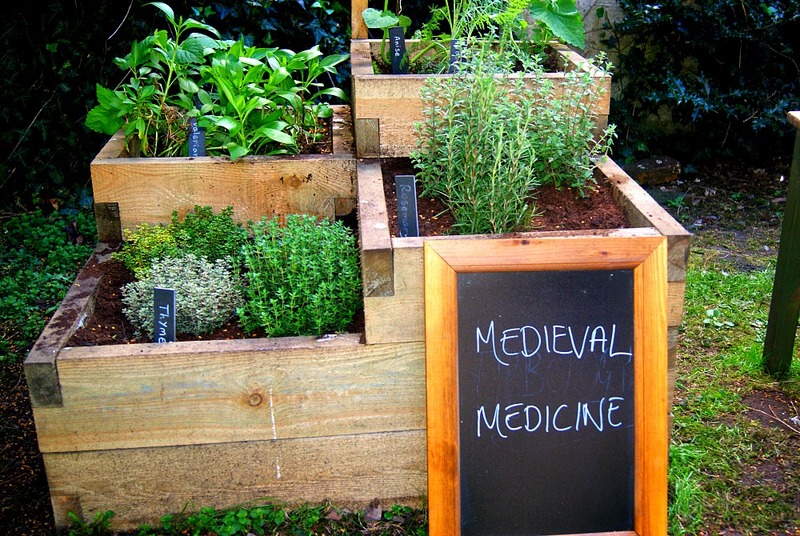 The whole experience was brought to life by the medieval smells of 14th Century England. Both Sophia and Archie commented on that when we entered the tour. The audio guides were brilliant. The children were given a children’s version which had a few jokes to keep them entertained. I don’t think they even caught on to the jokes but they enjoyed holding the audio guides to their ears like a phone. 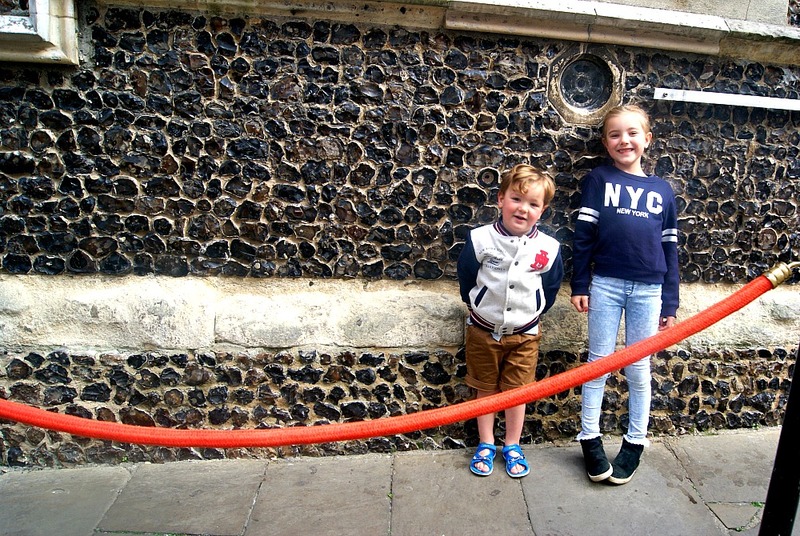 We really enjoyed The Canterbury Tales it was lovely to take Sophia and Archie. 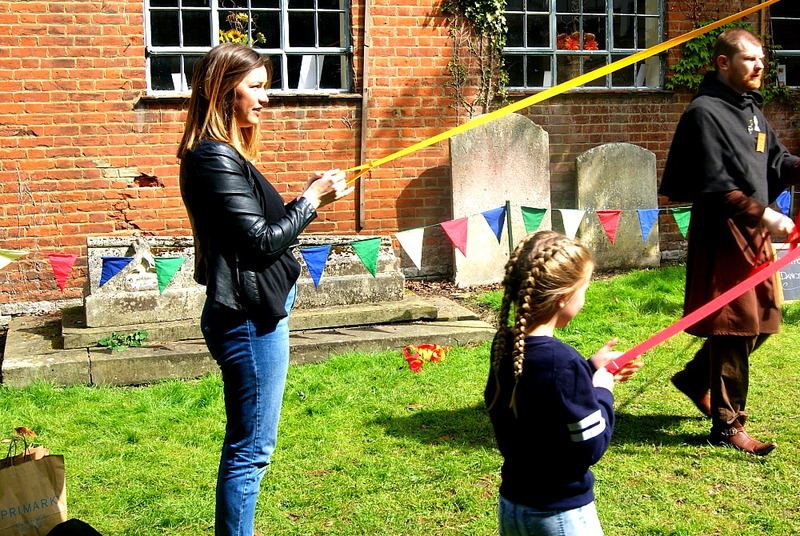 I don’t think you are ever too young for new and different experiences especially when it is to do with the father of english literature, Geoffrey Chaucer, the greatest english poet of the middle ages. I love reading and love involving the children in all the amazing authors and poets in our world. 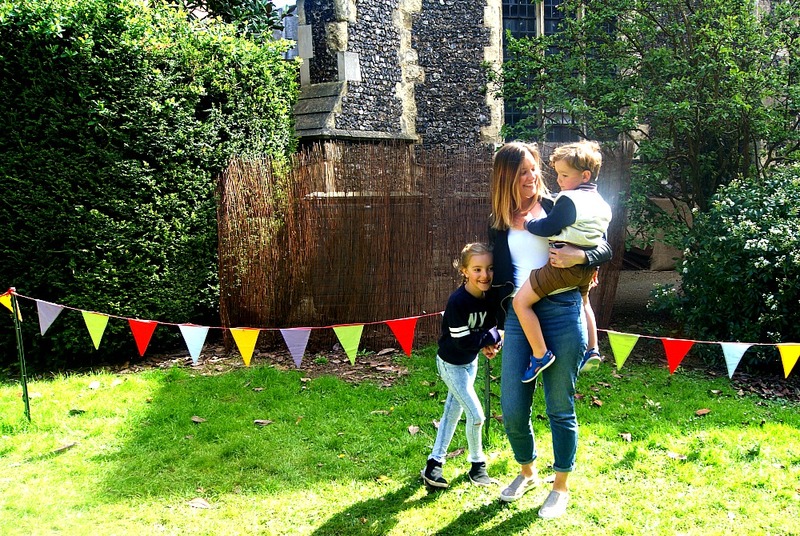 Although the attraction itself only lasts 40 minutes, Canterbury itself is a lovely city to explore. You could make a whole day of it and explore Canterbury. 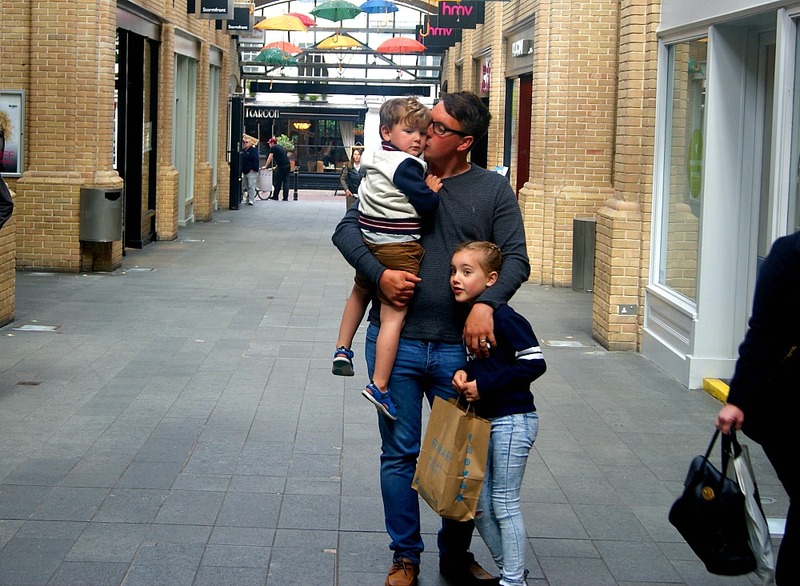 People travel to Canterbury from across the globe for culture, festivals, to shop, and to enjoy and explore our english heritage. After the tour we ventured into the the medieval story garden, which was open especially for the Easter holidays and they had plenty to keep the children and ourselves entertained. 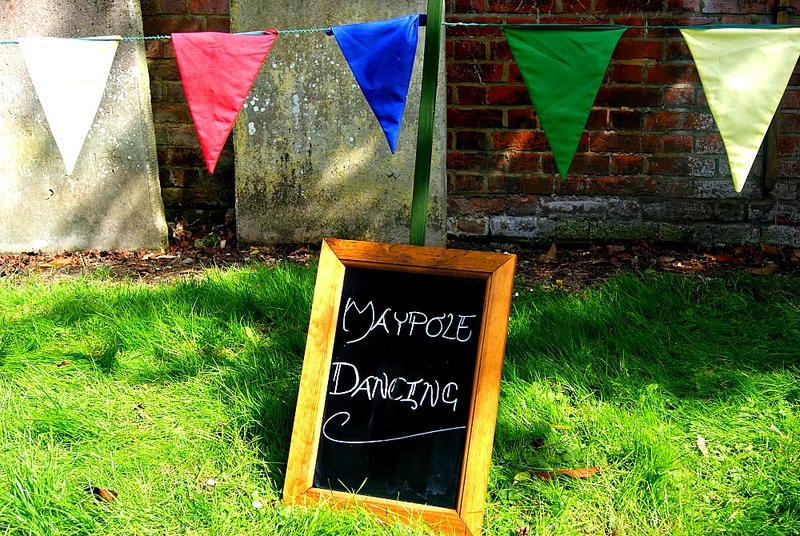 We tried Maypole dancing which the children and myself absolutely loved. I have never tried it before so it was really nice to experience it and to do it with Sophia too. Archie refused to do it until the end when Daniel encouraged him. 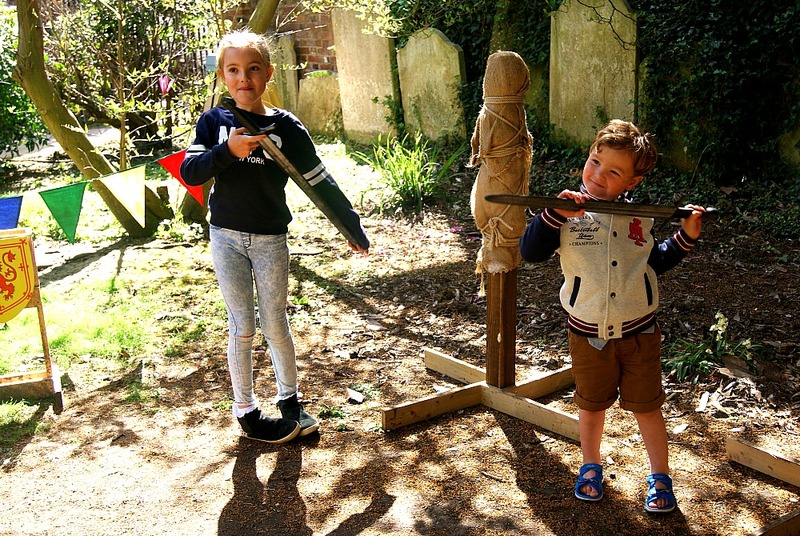 They really enjoyed the knight school and spent ages learning how to be a knight. The costumed character guides was brilliant, there were two guides and they made the experience and added such a medieval feeling to our time there. They also really enjoyed investigating the medieval medicines. There was a game where one of us picked an illness and then the children had to find the herbs that would have helped it. 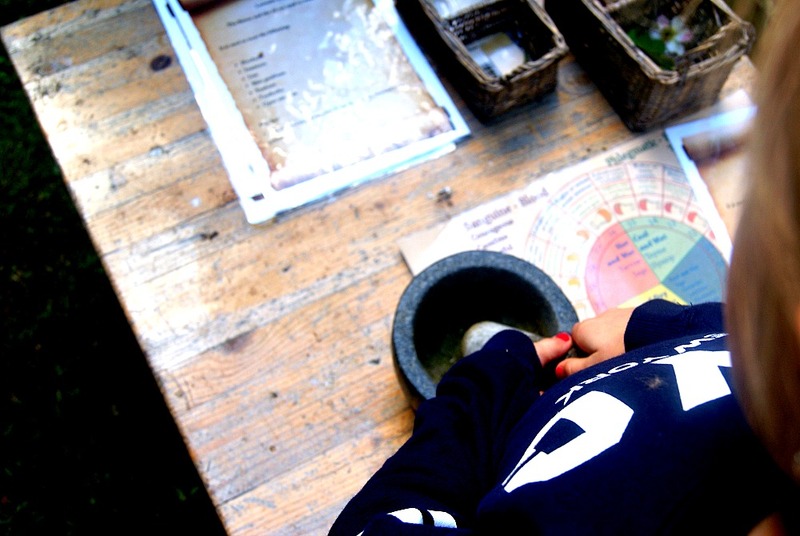 We played this a few times, it was quite interesting especially as I have treated the children with herbal medicine when they have been poorly, so it was interesting to see that it has been a method for healing for such a long time. 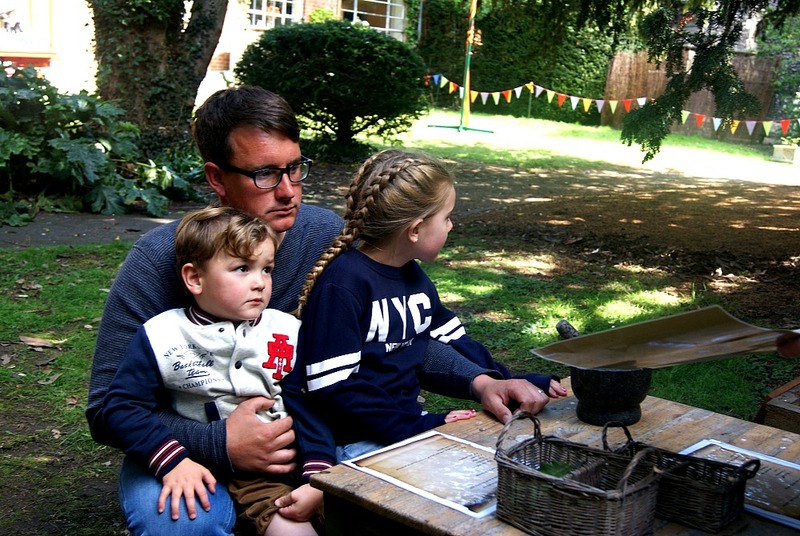 The Canterbury Tales was a really fun family day out, we enjoyed ourselves. They have lots going on over the holidays through the rest of the year. 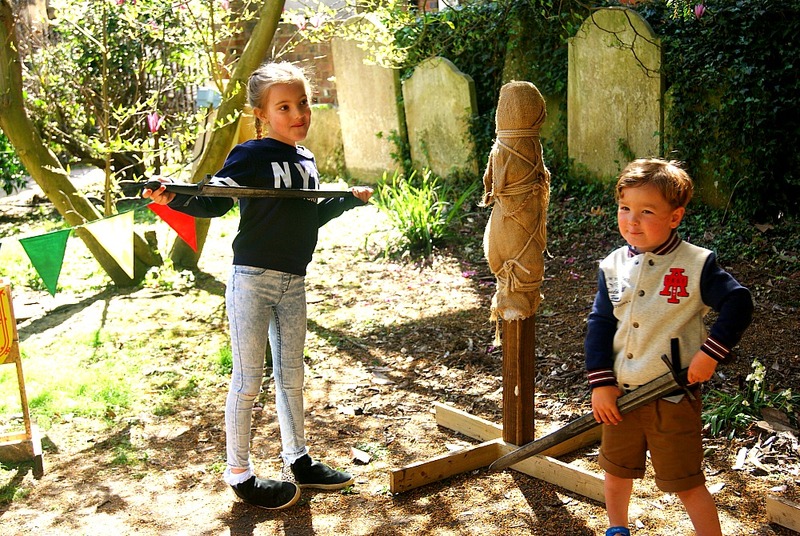 Monday May 1st 11am-3pm They have the Medieval Story Garden: Mystical beasts, and again from 27th May – 4th June. They have plenty more on throughout the year if you click here you can have a look. 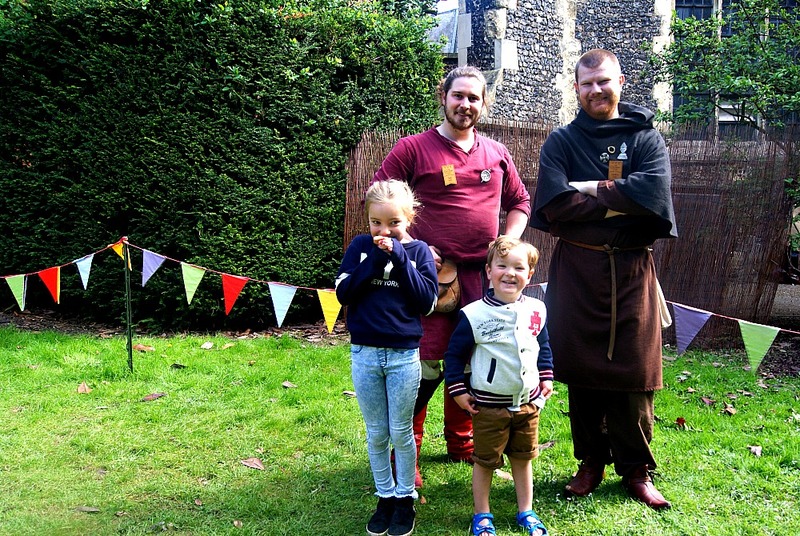 We would just like to say thank you so much to The Canterbury Tales for a lovely day out we really enjoyed it and we hope to bring the children back soon. The place looks lovely. 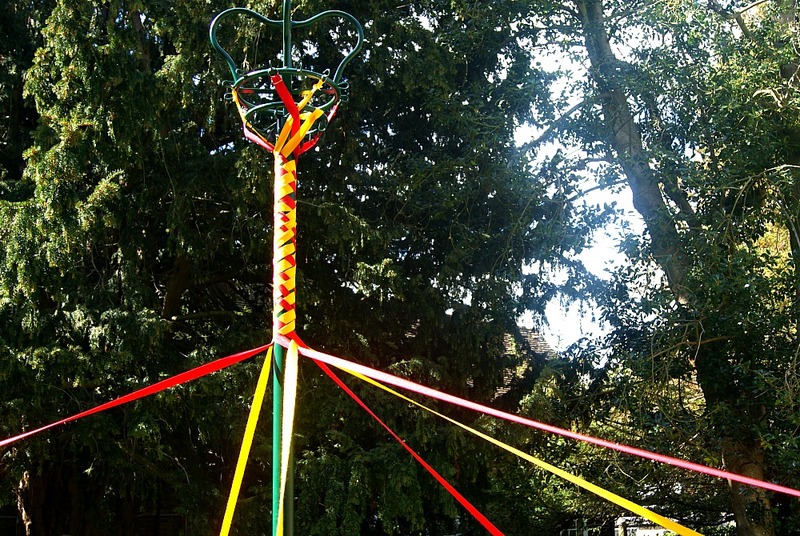 The May pole is a tradition I know reallly well too. What a fun day you guys had and great photos too! Wow,it sounds a great place for visiting. Your kids look so excited with the trip that I can see from their smiles. I think they can learn so much after this travel. I was wondering about the Canterbury Tales, whether it’s appropriate for smaller children or not 🙂 Canterbury is nice isn’t it. I love the river in the older parts of Canterbury and the shops. This looks like a lovely day out with the kids. I have never been to Canterbury but it looks so pretty. Great to engage kids with these classics at a young age. They’ll remember this when they start to study the stories.